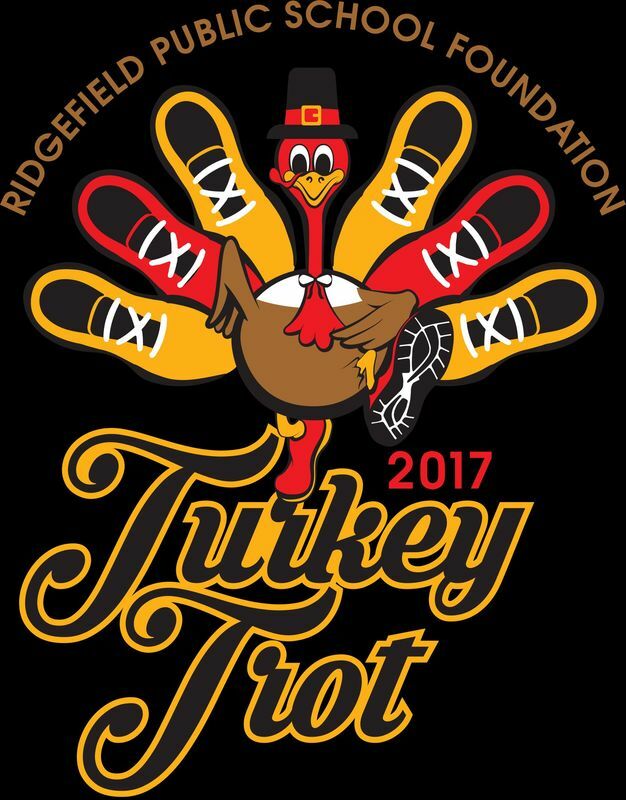 The Ridgefield Public Schools Foundation is hosting its annual Turkey Trot 5K/10K Walk/Run on Thanksgiving Day, Thursday, November 23, 2017. Proceeds will benefit the Ridgefield Public Schools Foundation and the Ridgefield Family Resource Center. The race begins at 9:00 am and includes a 5K Family-Friendly Walk/Run and a 10K Run, both of which start and end at View Ridge Middle School in downtown Ridgefield. Registration is $25 for adults, $20 for school district staff, and $15 for students. Go to http://www.ridgefieldpsf.org/turkey-trot to register online or to download a registration form containing event details. Registrations received by November 15th will include a T-shirt. Non-perishable food items will be accepted during race packet pickup on Wednesday, November 22 and at registration prior to the race to benefit the Ridgefield Family Resource Center. Each food item donated will generate a raffle ticket entry for a drawing to win $100 worth of gift cards at local Ridgefield restaurants. The Ridgefield Public Schools Foundation is grateful for the support of the following organizations: Northwest Funding Group, Inc. and Krippner (presenting sponsors); Opsahl Dawson, Certified Public Accountants and Ridgefield School District (supporting sponsors); and Jones Landscaping, Inc. (race sponsor).